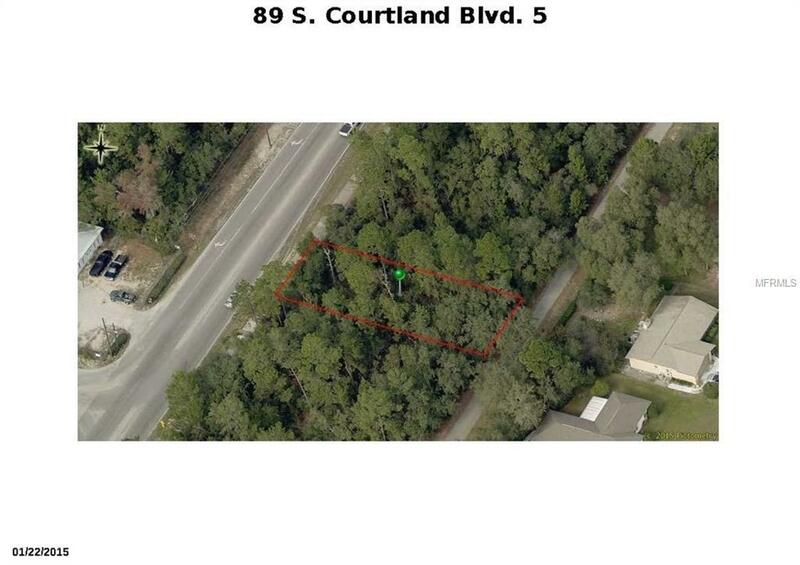 FANTASTIC OPPORTUNITY TO OWN 3 PARCELS OF COMMERCIAL VACANT LAND PROPERTY, ZONED C-1, ON COURTLAND BLVD. JUST OFF THE CORNER OF DOYLE IN THIS UP AND COMING "CITY ON THE MOVE" WHICH IS ONE OF THE MOST POPULATED CITIES IN VOLUSIA COUNTY. 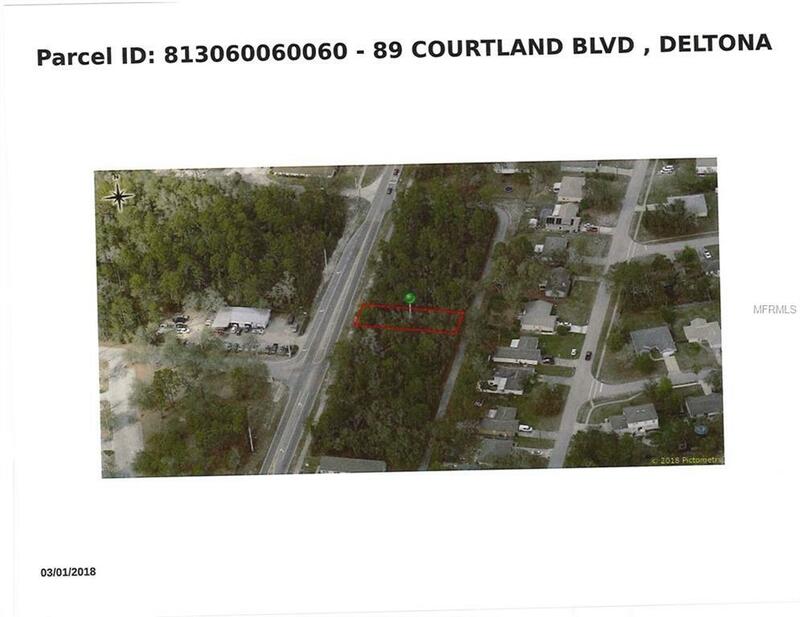 Possible location for car wash, fast food, convenient store or much more with property zoning and City and/or County Approval. 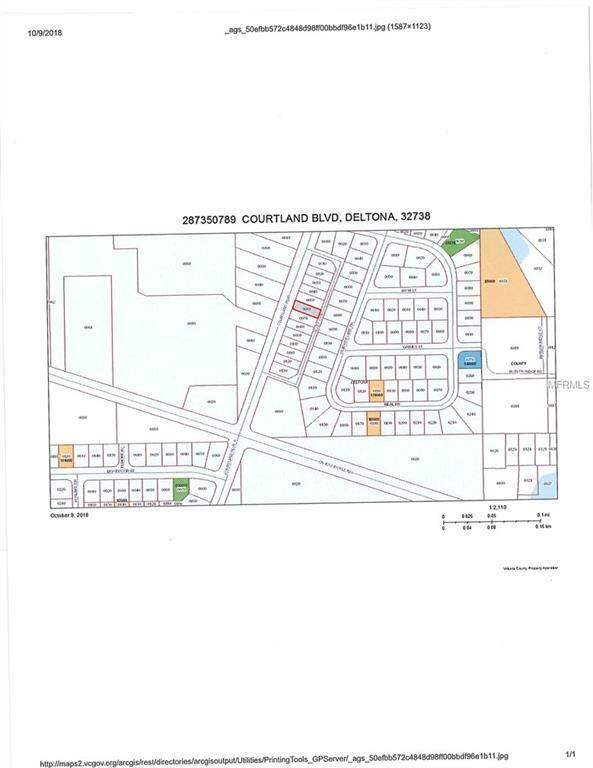 So, join the City of Deltona with your development project before prices sky rocket and purchases like this aren't possible. The City is on a commercial building spree to service the 100,000 plus population of this Orlando and Daytona suburb. Close to 415, I-4 shopping, restaurants, Daytona Beach and Orlando Attractions. Listing provided courtesy of Re/Max Core Collection. © 2019 My Florida Regional Multiple Listing Service, Inc. All rights reserved. All listings displayed pursuant to IDX. All listing information is deemed reliable but not guaranteed and should be independently verified through personal inspection by appropriate professionals. Listings displayed on this website may be subject to prior sale or removal from sale; availability of any listing should always be independently verified. Listing information is provided for consumers personal, non-commercial use, solely to identify potential properties for potential purchase; all other use is strictly prohibited and may violate relevant federal and state law. Data last updated 2019-04-24T06:44:53.253.